During two two-hour litter picks on Monday (April 8), volunteers tackled a popular cycle path in Mirehouse and a footpath through Arrowthwaite Woods. 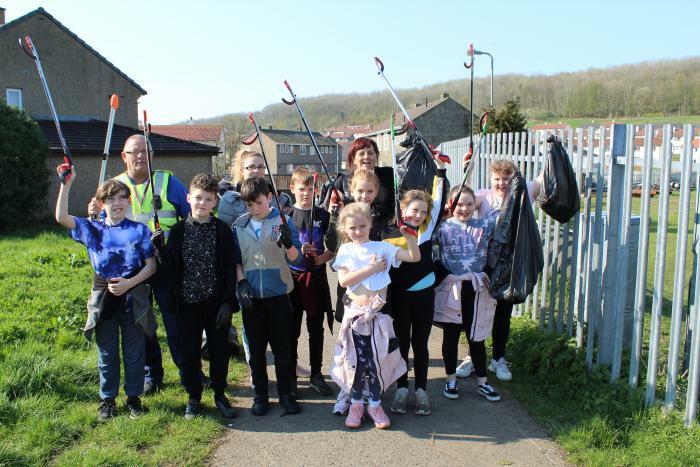 Community services manager, Janice Carrol, said: "It was great to see people out in the sunshine making a real difference to our surroundings. We'd like to say a big thank you and well done to everyone who took part." The two events were part of Keep Britain Tidy's Great British Spring Clean. The Mirehouse event was attended by Mirehouse Residents' Group's youth section. Ms Carrol added: "Lots of youngsters had chosen to spend part of their Easter holidays doing this, and they collected a huge amount. They were well behaved and you could see they were keen to take pride in their area. They can be very proud of themselves." Copeland Council staff also took part in the events.